Fibromyalgia is an illness that affects many people throughout the world. While more women than men are affected, those who are affected are going to find that their entire lives are going to forever be changed when they are having to deal with this illness. Fibromyalgia can make someone feel as though they are too tired to get through an average day. They may also be in so much pain that they simply cannot make it through a routine, regular day. As you can see, it affects people in a wide variety of ways, but one thing is for sure, it will disrupt the person’s life to the point that many people do not recognize what they have become in a year or so of dealing with fibromyalgia. One of the common issues with fibromyalgia is the pain throughout the body, the swelling and the muscle weakness. However, what most people do not realize is that many of these symptoms can also be associated with a thyroid issue. The problem is that the thyroid, much like fibromyalgia, is something that is often the last illness diagnosed by a doctor, for whatever reason. It is also important to note that people who show these symptoms usually have a family history of those who have hypothyroidism, high blood pressure, diabetes, allergies, cancer and heart disease. As you can see when the thyroid is acting up, the effect can happen on just about any part of your body. With these symptoms being seen, it is easy to see why this could be confused with fibromyalgia. The question that people are asking is whether or not those who have fibromyalgia are going to have thyroid issues? Could a thyroid medication help those with fibromyalgia? These are great questions and could result in the person living a more normal life. 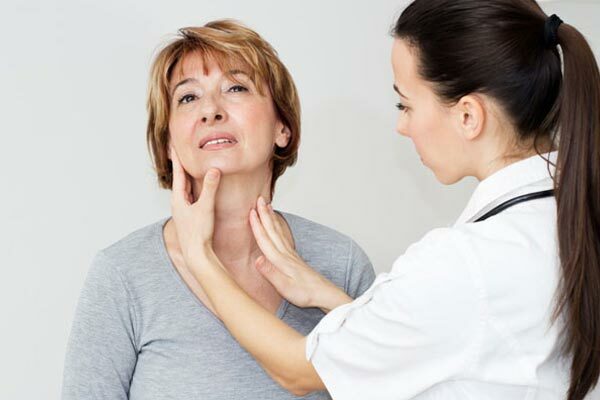 There are many doctors who believe that there is a connection between having thyroid issues and developed fibromyalgia. However, there are just as many medical professionals who believe there needs to be more studies performed on the connection. Looking at the two illnesses, there are too many characteristics that these two illnesses share that cannot be ignored. According to several studies that have been performed, the thyroid master gland in the brain is the responsible gland for many of the issues that both of these illnesses share, such as the constant fatigue, being unable to get a good night’s sleep, and the like. For this reason, many medical professionals are looking at treating a thyroid dysfunction for those who have fibromyalgia. The hopes in doing this is that the result will ensure the patient simply feels better and is able to function from day to day on a level that they believe to be normal. Synthroid is becoming a common medication that is given to those who suffer with a thyroid illness or fibromyalgia. This is basically a synthetic thyroid hormone that is meant to replace the low levels of hormone that are naturally found in the body. It is also known as levothyrozine. It is even given in times in which the person may have an enlarged thyroid gland due to hormone imbalances, radiation treatment or surgery. There are other side effects that can occur in which the person should be aware of. However, those who are given this should realize that the medical professional has given you this medication in order to help you, and believe that the side effects are outweighed by the benefits of taking this medication for your illness. This medication should be taken at the same time each day to ensure that it stays regulated in your body. Most people find that it is best to make synthroid a part of the morning routine and take this with breakfast for the best effects! So how is synthroid going to work in the body? When you first start taking this medication, you will find that every six to eight weeks’ blood work must be done. The goal is to find the right dosage of this medication that is going to ensure that your thyroid is working as it should be. The medication is going to help the thyroid produce as it should be producing. Thus, due to the differences in the body, some people may need a higher dosage than others. It is also important to note that as you take this medication you may need to adjust after having used this for a longer period of time. While you may be dealing with fibromyalgia, it could be affecting your thyroid. This is something that you need to talk with your doctor about treating, as a thyroid issue can easily be helped with the use of synthroid medications. The more normal your hormones are throughout your body, the less affects you may feel from the fibromyalgia. Fibromyalgia is not something to simply dismiss, instead, find a way to deal with this issue and get your life back to normal! I was told to take it on an empty stomach and not eat for an hour after taking it.